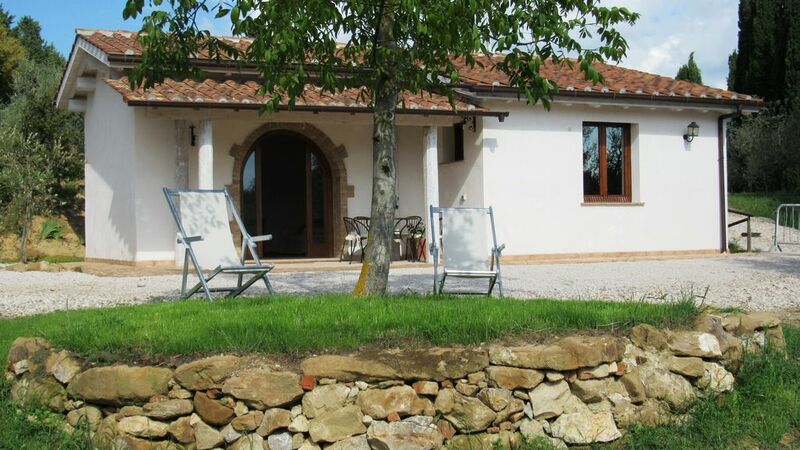 We are a farmhouse in Tuscany near Pienza in the town of Trequanda (Siena), with an old farmhouse dating back to 1300 and with four cottages and swimming pool. The farm specializes in the cultivation of olive trees (10000 plants) and we breed equestrian competition horses. This location is easily accessible (12 km from the A1 Val di Chiana motorway exit) located at 600 meters above sea level. L.M. on the hills that divide Val d'Orcia and Val di Chiana, where you can easily reach important tourist destinations in less than 30-45 minutes. Pienza is at 7 km and Montepulciano at 10, Siena at 45 km, Perugia at 60 km.